1.1 What is inner Shiva? 1.2 What is Shiva for me? 2 What is there which is making them ignorant? Shiva means the auspicious one, the answer to the question, What is Shiva, is voidness from which everything evolves and goes back in the end. In this post, we have answered the question what is Shiva After reading the post you will realize the meaning of Shiva. Why attaining the Shiva element is necessary for life? At the end of the post, you will also realize Gyan (knowledge) is better than money. In the context of Gyan and money, you have to protect money whereas Gyan protects you and your money. Acquiring Gyan means getting enlightenment and only enlighted mind can get inner Shiva. Shiva is supreme sentience which is unmanifested. 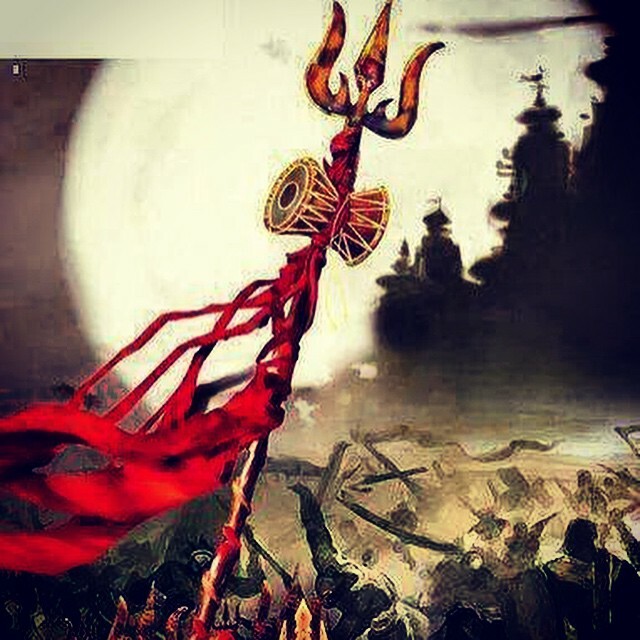 For presenting himself in the iconographical form so that people could have a sense of his presence he roar in the cosmos and became Maha Rudra . Everything has emerged from him, Vedas glorified him as Param Brahma. In that way, there are many lessons to learn from Shiva. In this post, we have shared the information about the unmanifested supreme being, Shiva. We have discussed what is inner Shiva how can you invoke consciousness inside. Therefore after reading the post; You will discover What is Shiva, why the feeling of being Shivoham can transform your life beautifully? Shiva is something which doesn't exist in the physical nature, and something which exists in physical nature also comes under Shiva. There is a sense of Shiva element in everyone, that is your inner consciousness known by the name of inner Shiva. You can invoke your inner Shiva through different ancient meditational techniques and make your life transcendental. Shiva is unique; In the highest form, Shiva is limitless, omniscient, immortal, greatest ruler of the world but the most important thing is you can feel that consciousness within you. Shiva is your inner peace which is free from every barrier. Let's understand Shiva as inner peace and try to observe Shankara Inside and Outside our thoughts. Mystical Shiva has many names like Shiva, Shambo to Mahadev. I have seen the gigantic collection of Shiva devotees on the bank of holy Ganga who is yogis and saint. What I found in them is very interesting, they are sages who never uses any materialistic stuff yet they have intense glow in their eyes and face which defines their inner strength. They are well aware of the term of Vairagya. They don't like to wear the golden robe, and the reason seems to be simple; they want to stay away from the materialistic desires. Shiva is their mystical strength which is nourishing them. 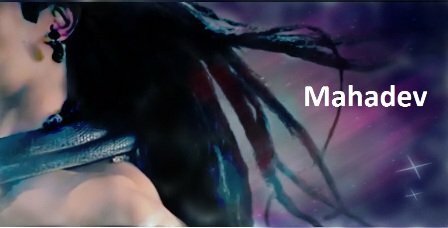 What is Shiva for me? I was a science student then I moved to Computer science and the world of technology who knows very well that energy is necessary to perform any task then I came across the Sanyaasi who didn't feed himself since the past 70 years. That was a Shocking moment for me when I came to know that Scientist and observers put him in observation and found the astonishing fact that his body makes energy for himself. The only thing he does for survival is Meditation upon Shiva by chanting the mantra Om Namah Shivaya. Then I read about the energy transformation into the body and concept of self-healing. In the medical term concept is known as Neuroplasticity. In simple term, Neuroplasticity defines the awakening on Shiva and Shakti inside. India is rich in cultural and spiritual values. Many sages are living ascetic life here without letting anyone know about them. Some are busy in chanting Ram Naam with complete devotion towards supremacy, and some are busy in exploring their horizon. These people are living a superior life than us by making direct contact with supreme consciousness. Superior life doesn’t mean driving Lamborghini and holding apple gadget on palms. It is when you know how to live a peaceful life whether you have the luxury or not. When you have peace in your heart; you will become more focused and stronger. Shiva tells the Easiest way to purify soul and Karma. Spirituality is essential for inner peace otherwise, your inner peace may get destroyed by yourself. In modern cities where every lane is crowded; people are becoming ignorant, heartless day by day. What is there which is making them ignorant? You will realize that rat race of becoming superior over other is making them heartless. People have distracted themselves from the path of spirituality. A young boy will hardly understand; what is Shiva? That has become the reality of people those who are forgetting the path of spirituality. Karmas are boomerang which comes back to you and reward you on your deeds. A person who gives too much attention to money is the one who is not genuinely enjoying their life. Life is enjoyed by those who believe in giving not in taking exactly like Shankara. According to Shiva element within you, Life is a celebration. Life is a precious gift; you should not hold yourself into limited belief. Help as many people as possible in your life. Never tolerate darkness in your life; learn from Shiva, how to be the destroyer of the evil . Live charismatic life of Shiva and adapt simplicity in your life. Admire the qualities of your spouse. Appreciate inner beauty which is eternal, not external beauty. Search your Shiva in the form of your inner peace. Live a highly spiritual life. Admire and appreciate the virtues of the people. Focus on your positive points, and seek to improve your lower. In this post, we have answered the question What is Shiva? We have described the meaning of Shiva in an easygoing way. Last but not least, please keep smiling and find your inner Shiva, if you haven't discovered yet.